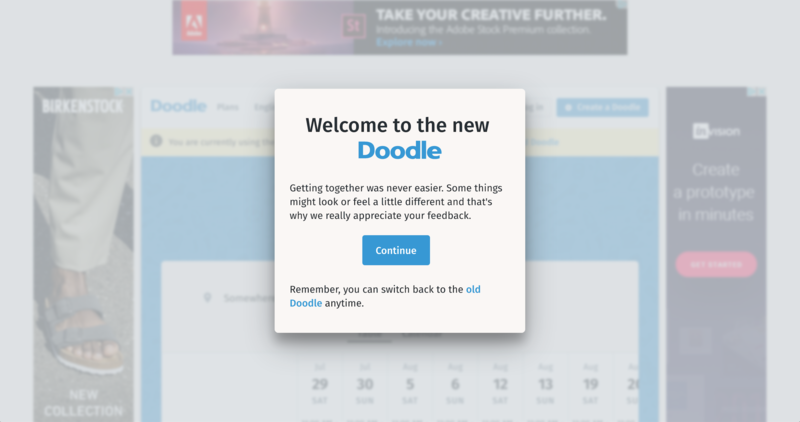 What we like: Doodle gives users the option to switch back to the old version of Doodle at any point. This is very important to include in both the actual redesign, as well as the redesign release. Users probably fall into different categories here — some may have been waiting for the new release and adopt instantly, while others may need to take a while before they’re fully brought on. Letting users know that they aren't forced to use the new product is a great way to retain some flexibility, without sacrificing any of the excitement of a product launch.